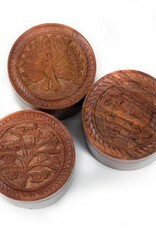 Hand carved boxes displaying a tree, a peacock, and an elephant engraved on the lids. 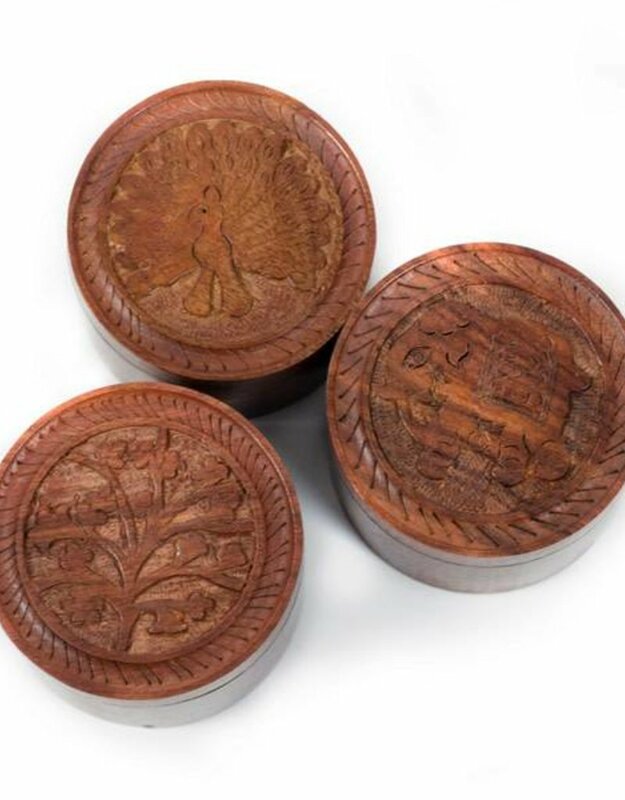 Their small size makes them perfect for holding small gifts, and their beautiful engravings add just the right decorative touch to counters, tables, bookshelves and more. The sides are polished and smooth, and the bottom is blank leaving it open for customization. Specify type at check out!